The presumption of atheism is the idea that in debates between theists and atheists, the burden of proof is on the theist to prove that God exists. This principle appears to be taken for granted in popular atheist literature, but I seldom see it discussed in higher level philosophy of religion. Is the validity of the presumption of atheism widely accepted among professional philosophers? 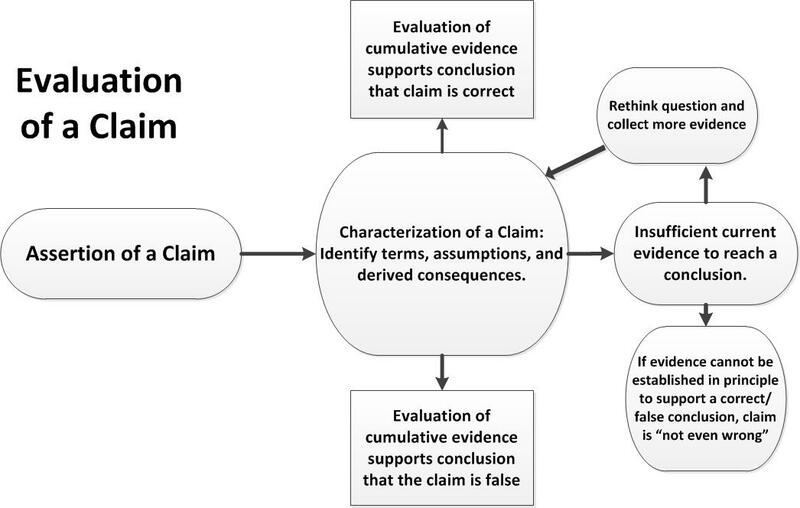 There is an alternative to "proving" either proposition: recognize that the propositions themselves are beliefs (i.e., unprovable, subject to personal boundaries), not facts (i.e., provable, not subject to personal boundaries). The so-called "presumption of atheism" is invalid. In fact, isn't it based upon the fallacy of begging the question? The fallacy of begging the question occurs when an argument's premises assume the truth of the conclusion, instead of supporting it. In other words, you assume without proof the stand/position, or a significant part of the stand, that is in question. Rather than debate who's responsible for proving the unprovable, both the theist and the atheist are each responsible for holding only themselves to their own beliefs. Any discussion of God is trivial if it doesn't identify which God is being discussed. How can an atheist prove the non-existence of an unidentified God? A monotheist, if they wish to reverse the burden of proof, must first be able prove the non-existence of every God which is other to the God they presume. I think what you call the "presumption of atheism" is just a specific instance of Occam's Razor, which translates as "Don't complicate things unnecessarily." In other words: don't assume the existence of anything that does could possibly not exist. Also, definitions of God are often so vague that proving God doesn't exist runs into a perpetual game of moving goalposts. "Sure, you proved that God, by that definition, does not exist, but what if you define God as..." Asking the theists to prove God exists also allows them to firmly establish a set of goalposts. I am not sure what the majority view is on this matter in philosophy and equally unsure what difference numbers and majorities make in intellectual debate. Let us consider Flew's main contention, that the onus of proof lies on the theist. The "proof" which is required of the theist involves (a) showing that his concept of God is such that the existence of God is theoretically possible and (b) providing sufficient reasons, though not necessarily a demonstration, to warrant believing that God exists. The "onus" which is on the theist does not preclude the possibility of a theistic proof. It is similar to the "onus" which is on the prosecutor in an English court: it is up to the prosecutor to prove guilt, but such proof is possible. And just as the prosecutor does not have to drop his personal conviction - if he has one - that the defendant is guilty, the theist does not have to drop hrs own theistic belief. What Flew is asking the theist to do is to accept a procedure. Like the affirmative side in a debate, the theist is asked to concede that if he has not provided grounds for what he affirms, he has lost the debate - whether or not the opposition says anything. If a theist moves, "Resolved that this house affirms the existence of God", the presumption in the debate is atheistic; the theist has to prove his claim or lose the debate. He is like a prosecutor in a court where the procedural rule is that innocence is presumed; the prosecutor must prove guilt or lose his case. Flew holds that the presumption of atheism is a better procedure than the presumption of theism, where the atheist would affirm, "Resolved that this house affirms the non-existence of God", and the atheist would have to prove his claim or lose the argument. Per the PSR, the "presumption of atheism" is a fallacy of shifting the burden of proof. Flew himself argued strong agnosticism -- that Theism is incoherent, and this was his justification for atheism. Upon the publication of Swinburne's "The Coherence of Theism", Flew admitted his claim to incoherence was untrue, and this opened him to considering theism. By the end of his life, he had adopted deism. The publication of ghost-written books under his name, which trended toward theism rather than deism, are suspect, given his advancing age and declining faculties.